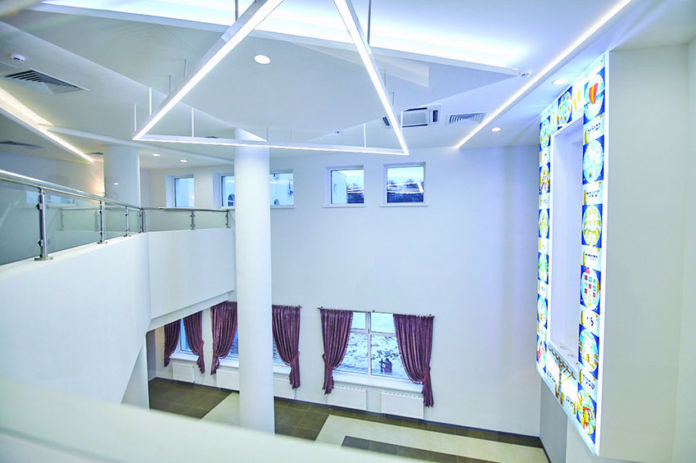 The Jewish Children’s Home in Moscow recently dedicated a large and spacious new wing of its building, another landmark in the capital’s ever-expanding Jewish community under the auspices of Russia’s Chief Rabbi, Rabbi Berel Lazar. For over a decade, there has stood on the northern side of Moscow a building surrounded by greenery that serves as a warm home for dozens of Jewish orphans from all over the country. Each child comes with his own tearful story and personal pain, but here they each receive loving care from the dedicated staff, headed by the fatherly director of the Home, Chabad shaliach Rabbi Menachem Mendel Gol, and his family. In addition, the orphans become family to one another. As the institution has grown and developed and the need to expand to accommodate more children became clear, the necessary extensive resources were obtained for the construction of a new wing, doubling the space of the Home. After massive construction and tremendous investment lasting two years, the institution has been upgraded to the highest standards in the world. The children are all integrated into Moscow’s exceptional Jewish educational institutions, with great concern for their welfare and for every detail of their lives. Many of its graduates have married and built beautiful Jewish homes of their own. 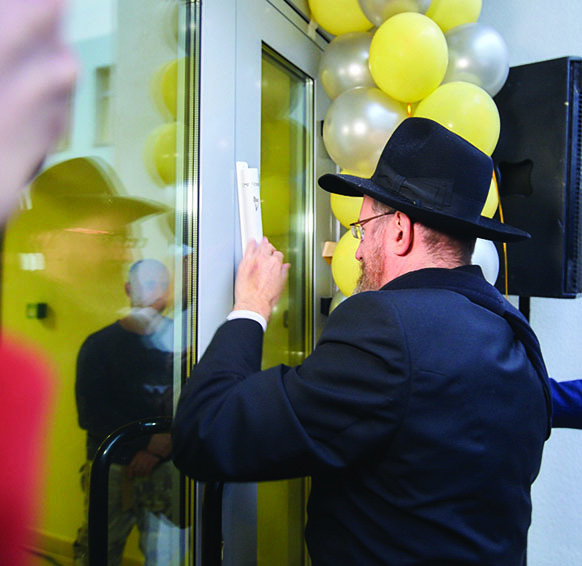 The mezuzah-affixing ceremony and dedication of the large new building, led by Chief Rabbi of Russia Berel Lazar, was celebrated with great joy and tremendous gratitude to Hashem. In attendance were the president of the Federation of Jewish Communities in Russia, Rabbi Alexander Boroda; the donors; the general director of Moscow’s educational institutions, Rabbi Yosef Yitzchak Lipsker; as well as the principals, students and many guests. They were all witness to a beautiful event that gave them a glimpse into the meteoric development of the exceptional Jewish community in Moscow, which cares for each and every individual, both materially and spiritually.